Build enterprise solutions with WordPress. Follow the installation guide and create your first WordPress project using the Themosis framework. What is the Themosis framework ? 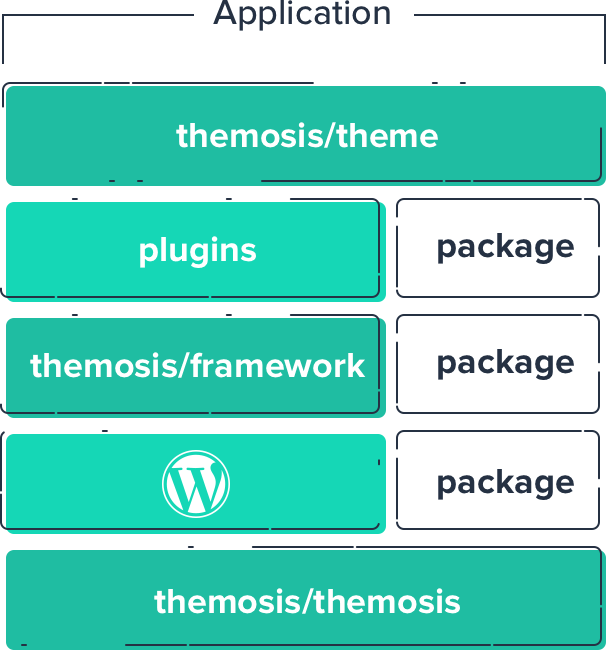 The Themosis framework is a custom WordPress stack. It provides an object oriented development structure to code professional WordPress applications and is bundled with helper classes built on top of some of the most popular PHP packages: Symfony, Illuminate and more. Write manageable and scalable code. Declare WordPress or custom routes, controllers, models and views to build your application. We give you the choices, build your templates using pure PHP, the Blade engine or the Twig engine. Quickly set custom post types, custom taxonomies, metabox, custom fields, administration pages, settings and more with built-in classes. Enhance and push forward your WordPress application by accessing great PHP packages thanks to our Composer support. Explore our documentation and build an entire WordPress application, a custom theme or plugin with the Themosis framework.